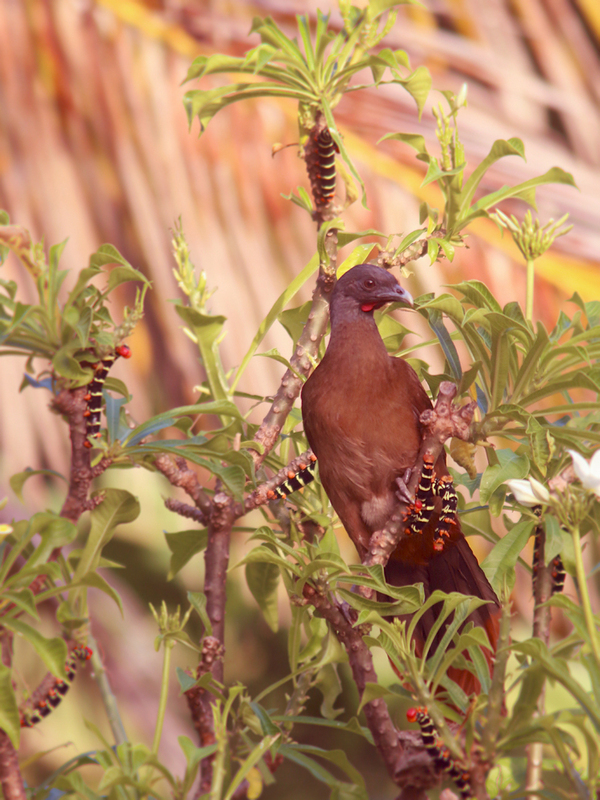 Our hotel grounds also provided some excellent birding … including several unmistakable Rufous-vented Chachalacas. Another species that occurs here but not on Trinidad, we enjoyed their antics and even their raucous calls. Here, you can also see the large & colourful Frangipani Hornworms (caterpillars of the Frangipani Sphinx Moth) that were also fun to see.